14 Cool *New* Street Style #OOTDs To Inspire Your Look! We love streetstyle because it’s the best way to spot trends, check out creative people and explore the best of fashion! And who better than social media stars to give you some fashion inspo, right? Well, here are 14 Plixxo bloggers whose style we’re crushing on! Our Campus Ambassador, Insia aces military chic like no other! We love it and especially that copper eyeliner. It looks so rad! Leheriya fabrics look so romantic and fresh and this ensemble right here speaks exactly that! Plixxo blogger Aishwarya shows you how it’s done! Plixxo Insider Chhavi Gupta shows you how to wear exaggerated sleeves like a pro. And look at that skirt - SO hot! Kylie-esque lips and hair that’s worth lusting over, this Instagram influencer is the one you should be following. Are you? Knotted tops are so in this season and there’s no reason why you shouldn’t wear them. If you haven’t tried it yet, take some inspiration from our Campus Ambassador to get started! Gingham checks are really in this season, but we’re sure you never thought of wearing it like this! Our Campus Ambassador Aru shows you the right way to get on with the trend. Denim-on-denim is a tricky trend not everyone can ace, but Plixxo Campus Ambassador knows how to work a trend and how! Sporty chic is definitely a risque trend to try and this one shown by Plixxo Campus Ambassador is all the inspiration you need! Patchworks look quite cool and this fun way to include it in your wardrobe is something you must try. 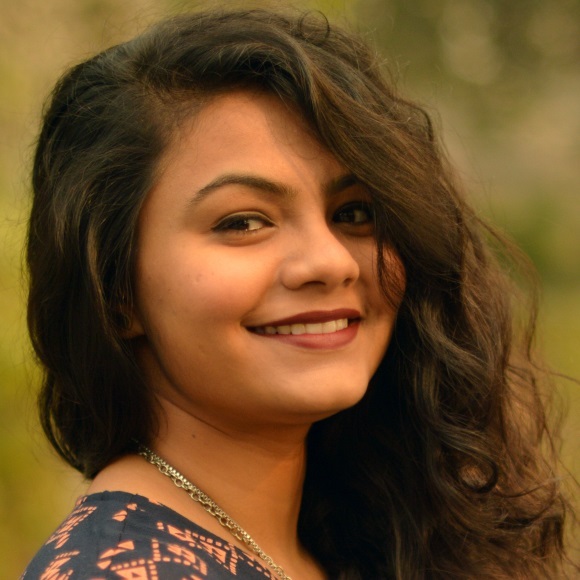 Plixxo blogger Meena has some tips for you! Victorian collars paired with ripped jeans are quite an interesting combination! 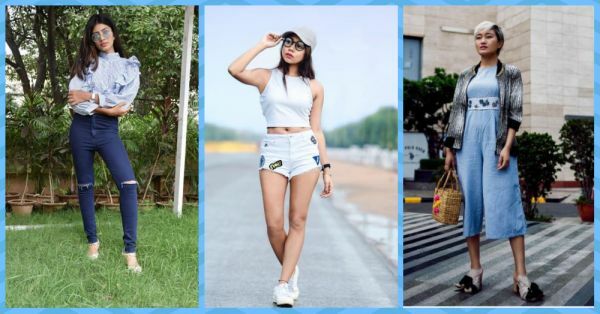 Plixxo’s Instagram Influencer and fashion maven Anuja can give you a style cue! Pleated skirts are really quite a hit between street style stars and Plixxo Insider Alka shows you how to wear the perfect #OOTD! Wide legged pants, anyone? Plixxo Insider works a pair of deep blue wide legged pants with a crisp white shirt! We love it! Super Blogger Aien Jamir is one with a fearless sense of style and sass. She looks absolutely on point in anything she wears and we just can’t stop scrolling through her blog. Fishnet stockings are a tricky trend but you can surely wear it by showing it off slightly! Wear it under your ripped jeans and low waist pants and pair it with a crop top like Plixxo Instagram Influencer Shailja! We hope you like all these images and got some fashion inspiration! If you’re a blogger or a have a really great social media account with a huge following, join the Plixxo Influencer Network today!